Please Add to Cart before checking out. Customer understands that EMS Reptiles has a live arrival guarantee only available under specific stated conditions. DOA’s and other claims must be reported to EMS Reptiles within 1 hours of arrival at the destination. Customer MUST be home to sign for the package on the 1st delivery attempt by FedEx. If Customer chooses not to have package held at HUB for pick up and FedEx delivers late, EMS Reptiles is not responsible for DOA's and NO REFUND will be issued. 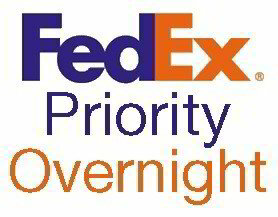 EMS Reptiles will make every attempt possible to assist customer with package delays and updates from FedEx. Any animals that the card holder is dissatisfied with must be reported to EMS Reptiles within 4 hours and returned at the card holder’s expense to EMS Reptiles for CREDIT ONLY towards next purchase. There are NO refunds or credits for boxes, and freight charges. No live arrival guarantee to destinations less then 40 degrees or more then 90 degrees on door to door service. Shipments can be held at the FedEx Hub for customer pick up upon request at no additional charge and is highly recommended and encouraged. Drop shipments, exports and shipments sent to third parties are void of ANY guarantee. Buyer is responsible for knowing their Local & State Laws regarding reptiles.